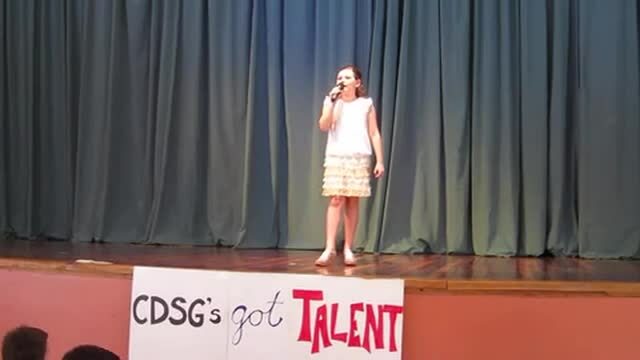 Just a clip from Laurens performance at the Country Day Talent Show. Go ahead and click it's only 20 seconds, but I could load the entire 3 minute 20 second version if you like. That was great. Would like to hear more. Also liked that science project and math. Wow, Lauren has a beautiful voice!